Samsung has announced the launch of a new range of Wi-Fi enabled Smart travel zoom cameras: The WB850F, WB150F, and ST200F enhance the advanced optical zoom and image quality that the WB range is known for, with Smart capabilities to facilitate the easy sharing and storing of images – wherever you are in the world. Housed in compact, light and durable bodies, the new WB zoom series from Samsung are the perfect travel companions. Samsung’s innovative new Smart technology aims to change the way we shoot, store and sharepictures. With the new Samsung Smart long-zoom cameras, users no longer have to worry about unearthing a tangle of cables to transfer images over to their hard drive thanks to the Auto Backup function. They can also take advantage of the integrated free storage space from AllShare Play and Microsoft Sky Drive, to make their photographs accessible anywhere in the world. One of the best parts of discovering new places and cultures is sharing your experiences with friends and family back home. With the Smart capabilities of the new Samsung long-zooms this is quicker and easier than ever. From any Wi-Fi hotspot, users can email photos or share them on social networks such as Facebook and Picasa and post videos to YouTube in just a few simple steps. The WB850F also supports GPS and Live Landmark to enhance your journeys and enabling you to find out information on local attractions and nearby locations at the touch of a button. The camera’s Digital Compass can also give users their location and tell them how far they are from certain locations, whilst the MapView function allows users to download maps and use their camera to help explore new cities. For those that don’t need Wi-Fi, the WB150 and ST200 will also be available as versions of the cameras without this feature. As with their WB predecessors, the WB850F, WB150F, and ST200F make it easy to shoot and capture incredible detail through their zoom lenses, making it simple to get up-close shots that were once out of reach. 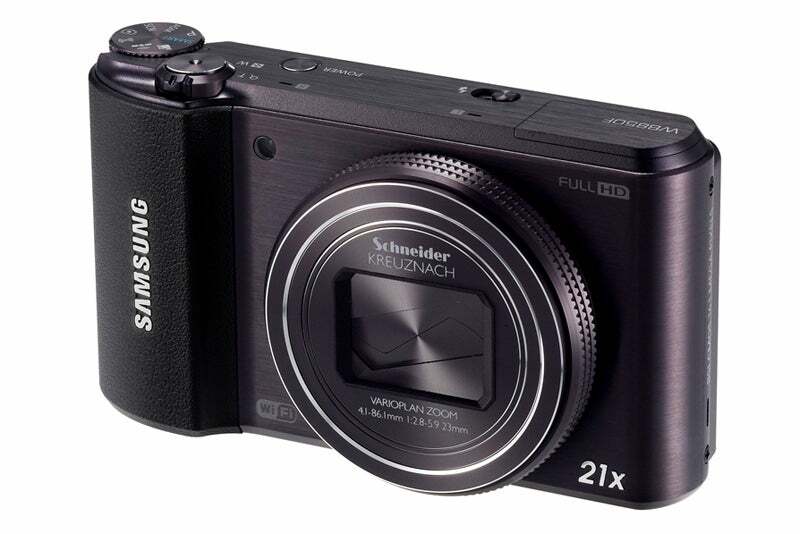 The WB850F features a 21x optical zoom – Samsung’s best yet, with an impressive 18x optical super zoom on the WB150F, and 10x optical zoom lenses on the ST200F. The WB850F also features pioneering BSI CMOS sensor technology to reduce image noise and distortion, even in low light conditions. This crystal-clear detail can then be experienced in all its clarity on the 3in VGA AMOLED screen featured on both models. Whether filming at the carnival in Rio de Janeiro or from a vantage point at the top the world’s highest buildings, Samsung travel zoom cameras mean you can film and share your travel memories in HD. The WB850F captures awesome detail in 1080/30p Full HD and 1080/50i for spectacular scenery shots whilst the WB150F and ST200F also feature fantastic 720/25p HD capture ensuring that once-in-a-lifetime experiences can be captured in all the colour and vibrancy that you experienced them in. Be the only person walking through a crowd of statues, see a solitary tree bending in the breeze – with Motion Photo you can make one element of a normal photograph come to life and keep moving while the rest of the frame stays still. With the ST200F, edit your photo instantly and use Wi-Fi to share it immediately without the need for a computer. With the new travel zoom cameras, it’s up to you how you get the best shot. On the WB850F and WB150F you can explore your own photographic skills with Full Manual Control, also taking advantage of the OIS (available on all models – WB850F, WB150F, and ST200F) Alternatively, Smart Auto, also available on all the new models, identifies and automatically selects the most appropriate of its scene modes to provide you with the best possible result every time. From a fireworks display to a dimly-lit party, scene detection technology identifies the shooting conditions and automatically tailors the settings to help achieve the best results. Live Panorama, featured on the WB850F, WB150F and ST200F, allows you to capture even more of the action, facilitating wide panoramic shots which don’t miss any of the detail, from sprawling mountain peaks through to large groups of friends. The function allows the easy capture of large scenes by simply holding down the shutter button and sweeping the camera across. Users can even preview the whole scene they’ve just captured via the LCD screen. Why not add some more fun to your travels by getting creative with your photographs? With Split Shot you can divide the screen into three separate shots and create up to three different photographs simply blending them together to create a whole new view of your travels. Using Magic Frame you can also position your target in the middle of a fun background – either choose from one of the many pre-designed backgrounds like movie billboards or posters or erase part of an existing picture to be even more creative! Or use the Picture in Picture feature which allows you to insert your photosinto another image so you can combine your favourite shots and make a memorable collage. Finally, with the Funny Face feature you can bend, stretch and warp your friends and family to create hilarious pictures and when you move the camera, Face Tracking preserves the funny looks you’ve added just the way you want them.